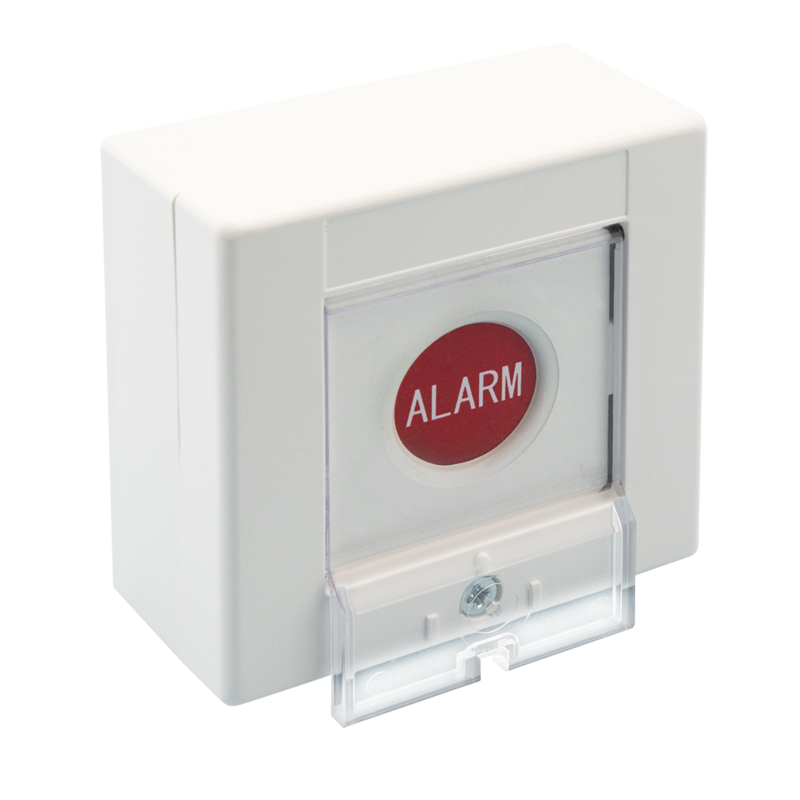 Pushing the button breaks a paper membrane activating the alarm and moves the changeover micro-switch. Protected against opening by an internal changeover micro-switch. Protection cover can be lead sealed.